The new Hitman game has hit consoles (well part of it anyway), and in the run up to get the word out, developer IO Interactive has decided to put the fates of two men’s lives in the crosshairs. The contenders for the inevitable assassin’s bullet? Beloved actor and voiceover artist Gary Cole (Veep, Office Space, so many more) and professional madman Gary Busey. In order to drum up interest, both actors make claims as to why they deserve to be the Hitman’s target, each more outlandish and upsetting than the last. 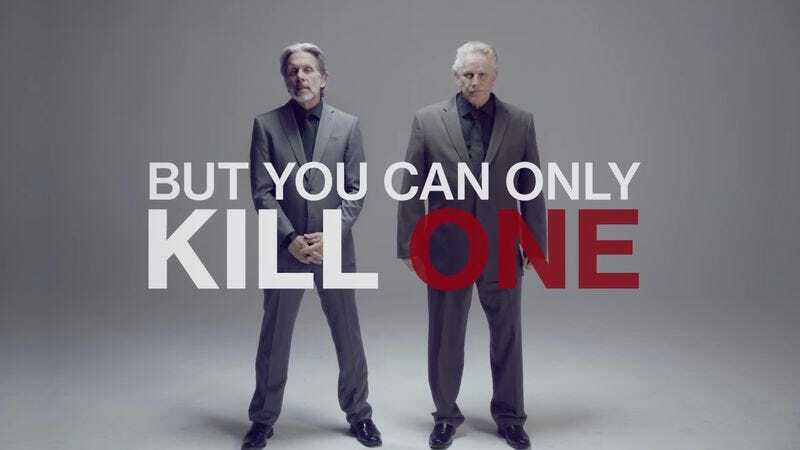 Players interested in the Choose Your Hit campaign will have to vote on which one of these silver foxes should find themselves in Hitman’s sights. Those who wish to weigh in can either hashtag #KillCole or #KillBusey on social media or by going to this website and casting a vote. The website has even more information about how awful each of the men are in order to garner votes for why they should be the one to be eliminated by a video game character. It’s a pretty dark campaign, but the wackiness of it alleviates the rather disturbing subtext underneath it all as the two Garys play up their bad behavior in cartoonish ways.